Settling in a new country is always more challenging than one thinks. 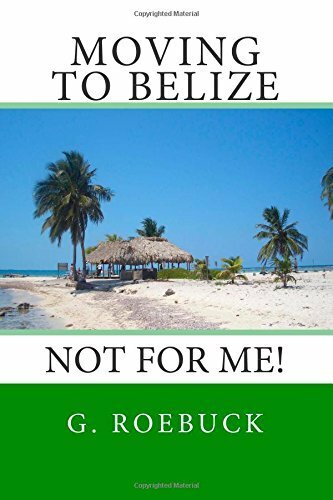 During my first weeks in Belize, my obvious plan was to take care of the basics, and then go explore. First things first. After chucking everything I had in the US, my number one priority was to find out if I could make it on a local salary*. Finding a home base was not easy, because I had a “no compromise” mindset and a limited budget. Figuring out the local prices** of groceries, utilities and necessary household goods also took a while and included lots of detailed documentation over a couple of months. – Don’t rely on anything expats say. Everything is relative. Expectations and standards of living vary. Stages of culture shock and their effects on people also vary. -No previous research will prepare you for the happy, unexpected, or downright bizarre experiences of working and living in a new country. -You will not be able to understand and connect to all facets of a new country, society, community or even neighborhood right away, probably ever. If you think you do, chances are you are missing the boat. You need to carve out your place, find your niche while holding on to at least some of your beliefs and all of your integrity. It’s harder than most people care to imagine. -Your angle of viewing your new surroundings might have nothing to do with reality. Humility and, most of all, flexibility are your best bet. -Moving to a new country for the wrong reasons will not make you happy. You can lie to the world, to your Facebook friends, or to yourself all you want. Sunsets on a sandy beach get old pretty soon for grown-ups (maybe), and a perceived low cost of living does not replace human rights, basic services, medical care or other features of everyday life taken granted in so-called developed countries. Choose your purpose wisely, and accept the consequences that come with your choice. -Understand that if in your new, adopted country you insist on finding the same values you are accustomed to, you will always remain an outsider. Too many expats are not bothered by this predicament. They bring their foreign money and, often, self-serving ideas, and expect their needs to be met, no matter what: whether it comforts their taste buds, political preferences or intellectual and cultural needs. Then they start recreating their own well-known, dead-end world while praising the simplicity and charm of a different existence in paradise untouched by the greed and negativity of power countries. Ironic. -The legendary friendliness of native and local residents is conditional. Once it’s clear that you are not a vacationing, clueless visitor who drops off ample amount of USD and then leave to everybody’s satisfaction, your status changes. Being accepted and finding trusted friends takes effort and time, more so if you are a foreigner. People are people: there are nice ones and there are nasty ones. -Culture shock is NOT overrated. *This link is for general information only, and does not represent my degree or situation. **The 2015 data of the Statistical Institute of Belize do not necessarily correspond with my personal experiences. You made moving look simple. Hahaha! It was anything but simple, AC! I love your comment. Thank you! Blessings on your continued adventures in Belize. Great writing, love your approach (but missing the closing on this one). Waiting for the next ones. There’s no closing as of now, much to come, haha. I am giving “it” due time. Thank you for your comment. Thank you, Donna. I know you know!